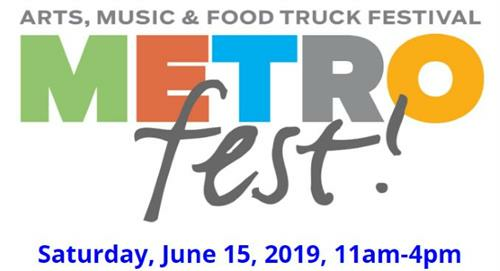 MetroFest is the MetroWest Visitors Bureau's signature event showcasing the richness and diversity of the region's music, arts, and culinary offerings, with a wide range of activities appealing to all ages. It truly is MetroBest! At our 6th annual MetroFest, we expect to draw 8,000 visitors to enjoy samplings from food truck vendors and local culinary talents; locally produced craft beer, hard cider and wine; fabulous live music, new programming, and the best of MetroWest shopping, arts and cultural experiences offered by more than 100 artisans, crafters, retailers, and cultural and community groups. About the MetroWest Visitors Bureau (MWVB): As the only regional organization with the mission of stimulating the MetroWest economy, we have served many hundreds of businesses, nonprofit agencies, and municipalities since our founding seven years ago. This independent nonprofit organization markets the region's cultural and recreational venues, retailers, restaurants, accommodations, and educational and other services to visitors and residents alike. These marketing efforts also serve to brand the region, build collaborations across sectors and towns, support jobs-producing enterprises, and make residents and employees proud of where they live and work. The Commonwealth of Massachusetts matches each dollar raised by the Visitors Bureau, which doubles the impact of every revenue source. Want to make a big splash for your business and meet attendees? Sponsorship opportunities available.